One of my favorite cute Thanksgiving desserts is these fun OREO Cookie Balls. 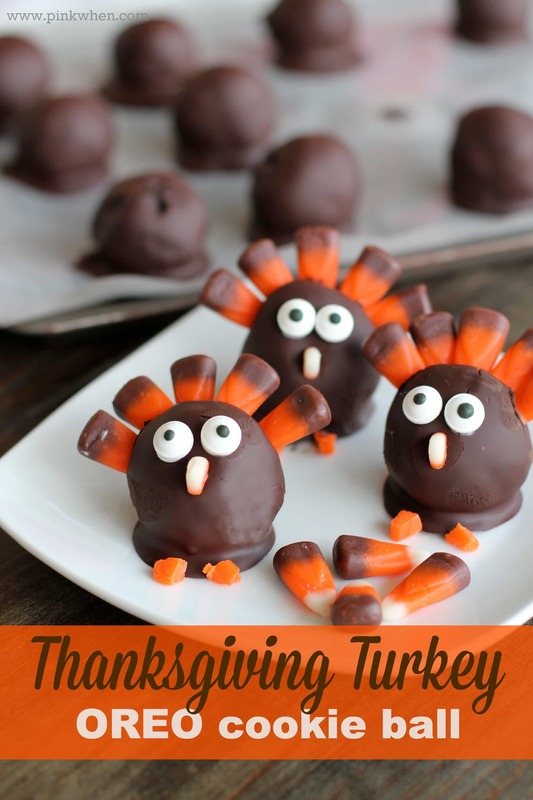 I have wanted to make these cute little OREO Turkeys (or turkey balls) for a few weeks now. They are super cute, and the kids love to help make them. Grab this easy recipe and have fun with the kids while out on Thanksgiving break. BONUS: I created a super cute shopping list/menu plan for your Thanksgiving menu. It’s FREE to download and will help you from making those extra unwanted trips during the holidays. 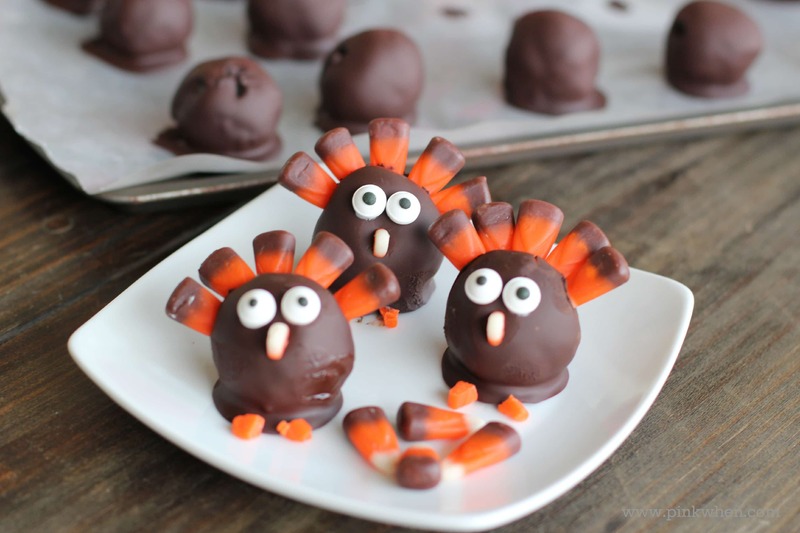 I am all about making cute Thanksgiving desserts, and these OREO Cookie Balls are the cutest. They don’t take too long, and the kids have fun making them. 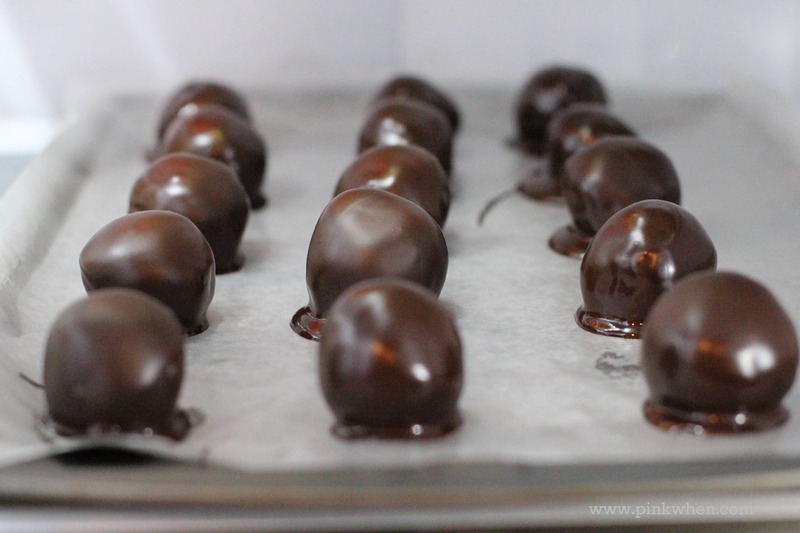 I love how easy the original OREO Cookie Balls recipe is because it only takes three ingredients. Just a few things mixed, and then DELICIOUSNESS! Now all you need to do is follow these step-by-step instructions on how to make these cute Thanksgiving desserts. 1. Grab your cookies and break them up into cookie crumbs. 2. 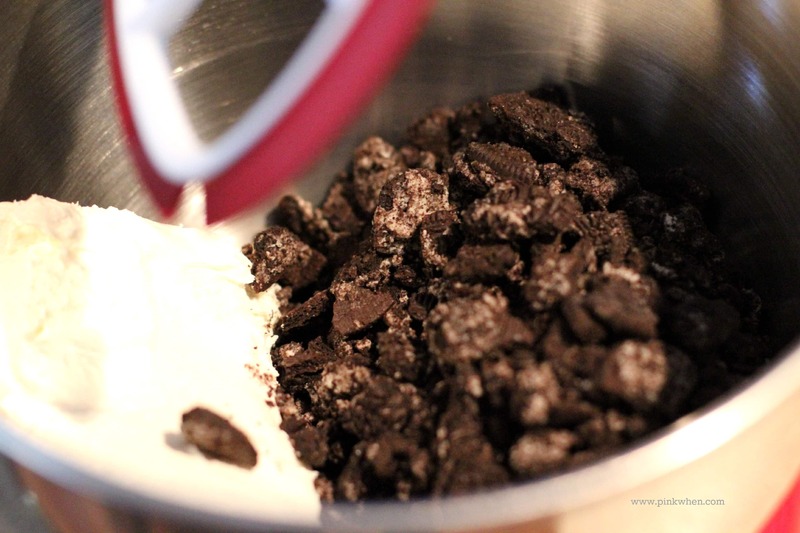 Mix cream cheese and cookie crumbs until blended well. 3. Shape the mixture into about 48 (1′ inch) cookie balls. 5. Dip the balls into the melted chocolate and then place onto a pan covered with wax paper. Refrigerate for 30 minutes to an hour. 6. Once you have the cookie balls made, it’s now time to make the OREO cookie balls into OREO Thanksgiving Turkey Cookie Balls. You will need a few extra ingredients to finish off the turkeys. 7. 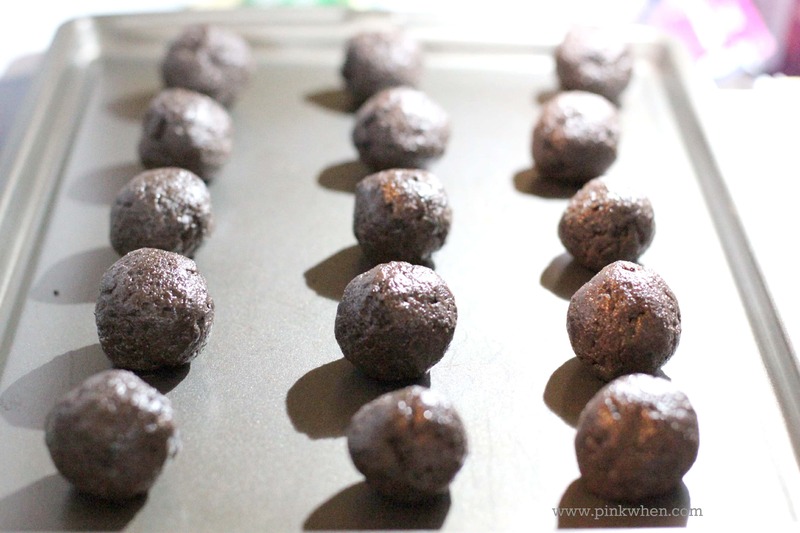 Remove the OREO Cookie Balls from the refrigerator (only cooling for about 10 minutes) and grab your supplies. I grabbed 5 Indian colored honey flavored candy corn and added them to the back of the cookie ball. 8. Then take your icing and add a few dabs to the back of the candy eyes and place on the cookie ball. 9. I then took a candy corn and cut off the white tip and used this for the nose. 10. I cut the orange piece in half and used those for the feet. After placing the candy corn on the back for the feathers and finishing up, I set them back in the fridge to completely cool. I think they turned out cute! I love how these OREO Cookie Balls turned out. They are just one of many cute Thanksgiving desserts I plan on making this holiday season. 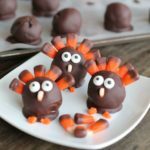 What a fun way to change things up and decorate the already delicious original OREO cookie balls as Thanksgiving Turkeys. For more great ideas and fabulous OREO Cookie Ball recipes, please visit the hub for all things OREO! You might also like these fun OREO Cookie Balls made like a snowman! If you like this recipe, make sure to give it a rating. It helps others find our recipe when they are looking for cute Thanksgiving desserts! A fun twist to the delicious OREO Cookie Ball original recipe. Take a package of OREO cookies and crush them up finely. Take softened cream cheese and mix well with cookie crumbs. Roll into one inch cookie balls, and then freeze for 10 minutes. Dip cookie balls into melted chocolate and place on a prepared cookie sheet covered with wax paper. Place into the refrigerator for 15 minutes to an hour before decorating. Add 5 candy corn to the back of the ball as tail feathers. Use icing as glue to attach the candy eyes. Cut one candy corn into pieces, using the white tip as the nose, and the orange part (cut in half) as feet. They’re perfect! And no doubt, delicious. I always make turkey desserts like this with my mom on the night before Thanksgiving. I used Candy Eyes. They are made by Wilton, and you can usually find all of that in cake decorating at your local craft or home store. Hope that helps! I’m going to try this . . . . but I think I’ll try using marshmallows instead of the Oreo cookie balls. Crossing fingers this will work! these are cute. Think you could also use cake pops. Super cute – they look SO delicious too. 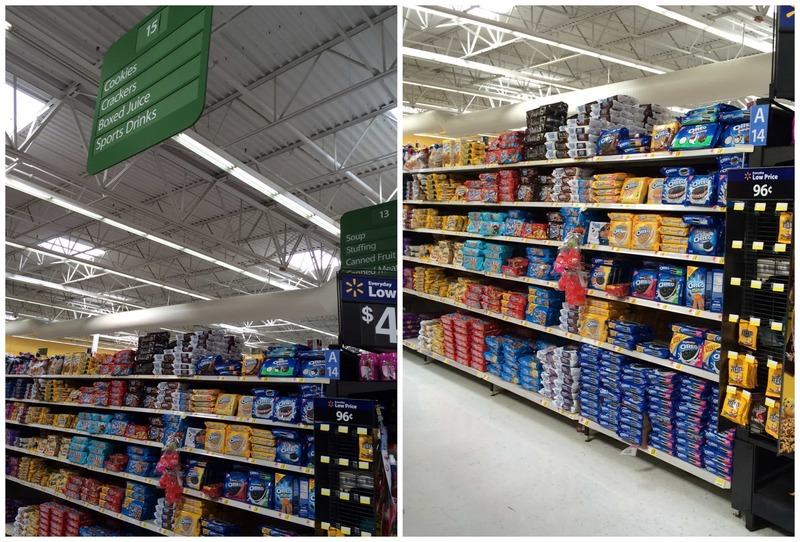 You can’t go wrong with Oreos! Thanks so much! I agree. Thank you for sharing this. Is there anywhere in particular where you need to buy the candy eyes? Thank you so much for sharing this. My granddaughter and I will have fun making them. hi Veronica! You can find them at Michaels in the Wilton Cooking supplies, and you can also find them at Walmart where the Wilton Cooking supplies are. 🙂 There are probably more places, but I know those for sure. Do you just stick the “feathers” in? Seems like the chocolate would break. I did just stick the feathers in. I did this after letting the chocolate harden for a little while, stuck the feathers in, and then completely cooled after that. Do I have to remove the filling from the oreo cookies or do I crush the entire cookie up? What kind of icing did you use? Also did you stick the candy corn in the cake ball or put them on with icing? Did I do something wrong? I only got 28 1″ inch balls. Made these with kids ages 8 & 11, but we had a hard time getting the “feathers” in without cracking the “faces” of the turkeys. Would be interested in finding a better way to stick the candy corns in. Taste great! Even though I only had them in the fridge for 10 minutes before placing in the feathers, I still cracked a few of my faces on them as well. Some get harder than others faster. It’s a little touch and feel, but for the most part mine did not crack too badly. 🙂 LOVE how yummy they taste!!! These Oreo turkey balls are precious. Thanks for sharing at Wonderful Wed. Blog Hop. These are so cute! 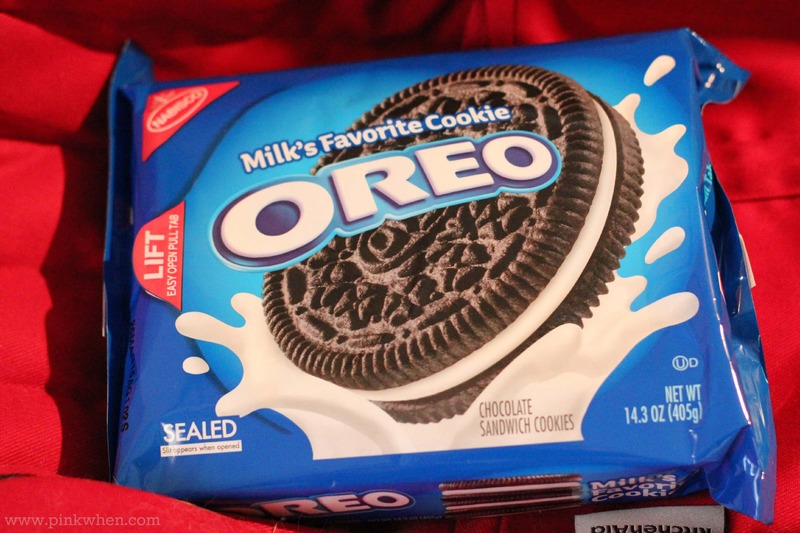 I love Oreos and so I bet these are delicious! I will have to make these for Thanksgiving this year! The kids would love them! These are so adorable!!! Thanks for linking up with What’s Cookin’ Wednesday!